Assists in the prevention, management and recovery from muscle pain, swelling and inflammation. Provides cooling and compression therapy in one simple step, helping you recover from muscle sprains and strains faster and more effectively. Ready to Use – No refrigeration needed! 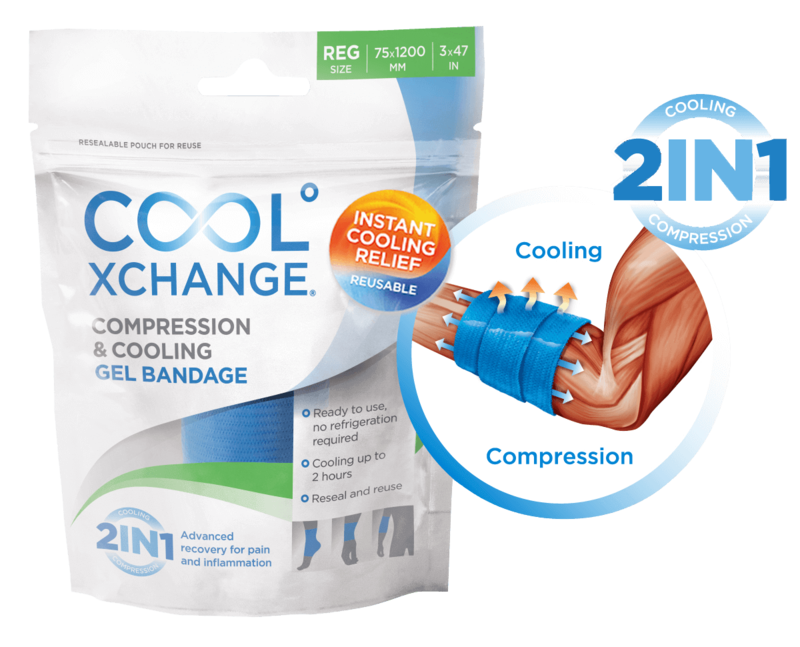 CoolXChange Gel Bandage works instantly, and can be worn continuously for extended periods of time, without causing ice burns unlike traditional cooling methods. Clinical studies show CoolXChange Gel Bandage can continue providing cool therapy for up to 2 hours, decreasing skin temperature by over 10°C /18°F.